There is this video that has surfaced on the internet, showing a JAMB lesson teacher flogging one of his female students on the head. The video seen below was shared by a lady who sees the act as violence which should never be a last resort to solving whatever issue the teacher had with the student. Her only problem was him constantly beating her on her head. But this teacher wouldn’t listen, saying she has no right to tell him where he should flog her on… She attends Jamb lessons their… i don’t care what she did.. No one has the right to hit a student that way. What Would You Do If That Was Your Daughter? The post If This Teacher Did This To Your Daughter, What Would You Do? 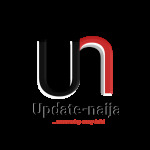 (Video) appeared first on Naijaloaded | Nigeria's Most Visited Music & Entertainment Website.